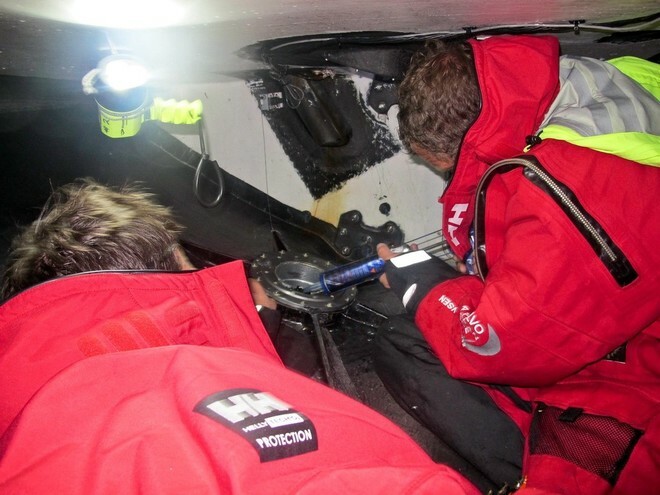 Team Sanya have officially suspended racing as they approach the New Zealand coast. Mike Sanderson’s team notified race control that they were suspending racing on Leg 5 from Auckland to Itajaí, Brazil, at 2036 UTC on Monday. Sanya were forced to turn round four days into the 6,700 nautical mile leg after one of their rudders broke in huge seas east of New Zealand. The team announced yesterday that once they have arrived in Tauranga, expect at some point on Tuesday, the boat will be shipped to Savannah in the United States and then sailed to Miami for ahead of Leg 7. ‘Right now it’s a case of pushing the boat as fast as we can to reach Tauranga in time as our turn-around time there is very tight – and trying to do that with a damaged hull and emergency rudder is not ideal,’ said skipper Mike Sanderson.